District 46 scored the highest of all McHenry County Schools on the 2017 PARCC assessment! District 46 was awarded the Department of Defense Employer Support Freedom Award one of only two school districts nationally to EVER receive this honor! 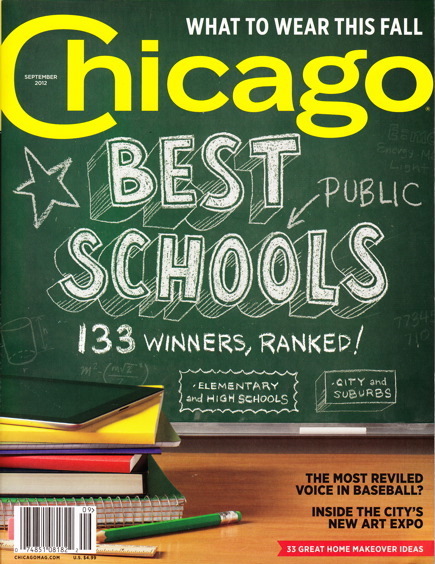 District 46 was ranked #1 in Chicago Magazine's Best Schools in McHenry County three years in a row! District 46 schools received the Academic Excellence Award three years in a row from the state of Illinois for high test scores. District 46 received the Bright Star Award seven straight years for high state test scores coupled with low per pupil expenditures. District 46 ranked in the state's top financial recognition category for the past eight years. District 46 was the only employer in the state of Illinois to receive the 2012 Pro Patria Award from the Department of Defense for continued employer support of the National Guard and Reserves.